When aiming for a million dollar look, it is important to use current modern trends to your advantage in only the best ways so as to not date your project prematurely; latching your design to a fad can be a costly error and actually harm your overall investment rather than helping it. 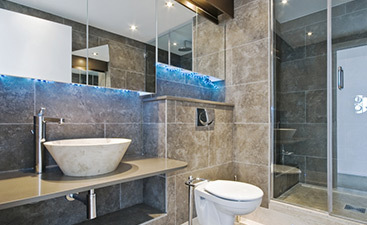 Current home trends are seeing “light and airy” reign supreme with a resurgence in elegant whites throughout designs. 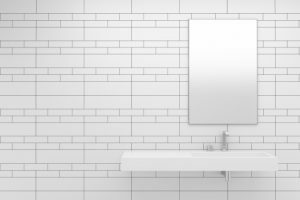 One of the most prolific elements of the return of white to home designs is found in the use of subway-style ceramic tile in designs from high-end to mid-range. Change up the pattern – If you lay your subway tile in the traditional fashion, then your design could end up looking ordinary. Instead, consider using a chevron or herringbone pattern to provide a unique aspect to the design. Large tiles – While traditional subway tiles come in a very standard size, you can take advantage of the look they provide without looking ordinary by considering an oversized white ceramic tile. These typically cost more per square foot but can be incredibly effective when used with ordinary sized tiles or as a standalone solution. 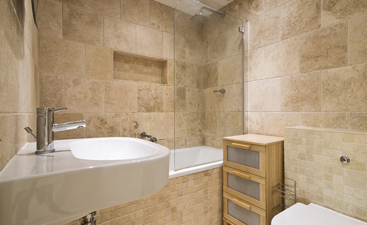 Consider grout color carefully – The right grout color should do more than hide gaps between tile and should instead add contrast to the overall design. 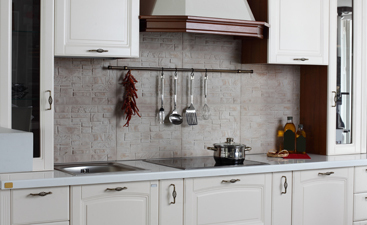 Since subway tiles are characteristically white, the grout choice is even more important. If you’re still struggling with your bathroom tile choice, then be sure to give us a call or stop in to speak with our professional staff, and find the right tile and pattern to complete your San Fernando bathroom today!